Shanghai - Haunted Andre Villas-Boas shouldered the blame after he failed to inspire big-spending Shanghai SIPG to silverware in his first season in China, with his future likely to be resolved this week. The former Chelsea and Tottenham Hotspur manager refused to say if he would stay on as coach of the Chinese Super League (CSL) club following Sunday's FA Cup final defeat to rivals Shanghai Shenhua. Some Chinese media previously said that the 40-year-old Portuguese had to win at least one title at SIPG. But the season ended in disappointment, with the team finishing second in the CSL behind Guangzhou Evergrande and going out in the semi-finals of the Asian Champions League. Villas-Boas last week said his future was already decided, irrespective of the result of the FA Cup, and following the latest disappointment he repeated that "SIPG know my decision and soon you will know about it". His side, featuring 60-million-euro signing Oscar and fellow Brazilian star Hulk, won Sunday's thrilling second leg 3-2 at home to Shenhua but lost the tie 3-3 on away goals. "Our ambition was to win trophies and we fell short of this," Villas-Boas, who looked shell-shocked, said. "So I have to accept my responsibility and failure in this aspect. But the team is in a much better place now to win trophies... but of course we wanted to win something and hopefully they can win something in the next years. "You feel the pain from losing a trophy and next time you want it more badly." Oriental Sports Daily reported that Villas-Boas apologised to his players afterwards in the changing rooms. However, some SIPG fans and Chinese media were in unforgiving mood on Monday. "Compared with his coaching ability, what is more obvious during the one year at SIPG is Villas-Boas's arrogance, his stubbornness and prejudice against Chinese football," said a hard-hitting editorial from Soccer News, under the Guangzhou Daily state media group. 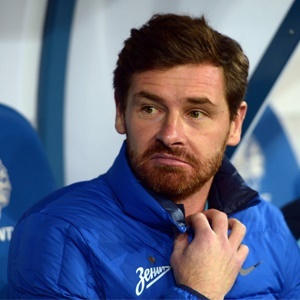 Villas-Boas, who arrived in China in November 2016 from Zenit St Petersburg, has been banned twice this season by the Chinese Football Association (CFA) and has been a critic of the way the CFA runs the game. He retains the support of some SIPG fans, but the latest disappointment saw many turn on him, with one saying on Weibo, China's equivalent of Twitter: "Villas-Boas has to go or else SIPG will have no future." Another urged the club to make an announcement on the coach's fate one way or the other: "SIPG should consider who will be the future coach - and it needs to be soon."